Hilarious and enterprising millennials have managed to transform their social media fame into a substantial living. There’s no denying that millennials have something to say when it comes to conquering social media, and a select few have cracked the marketing code. As cool as it may look, it’s not all fun and games—there’s a lot of hard work, dedication, and finding just the right voice that works. We spoke with some of the hottest ‘grammars today—Steffy’s Pros and Cons, Girl With No Job, and The Fat Jewish—to get the inside scoop on their journeys from anonymity to social media celebrity. Ostrovsky is equal parts humorist and entrepreneur. Fast forward to 2016 and Ostrovsky has an Instagram account with 8.9 million followers and counting. Not one to just sit back and chill, in the last few years he’s gone on to start businesses, pen articles, become a plus-sized model, and much more. Despite his fame and fans like Katy Perry and Snoop Dogg, he manages to stay surprisingly humble. Another interest for Ostrovsky is the fashion world, and in 2015 he made waves by curating “Dad Season” for New York Fashion Week. Want to become an IG celebrity or simply gain some more fans? We asked for tips from the pros to help you achieve the ultimate level of fame. On the opposite end of the spectrum, Girl With No Job a.k.a. Claudia Oshry prides herself on not having a job and not wanting one, even though that’s kind of her job. The idea for GWNJ started when she was in college as a Tumblr page originally called Girl With A Job, which she treated as a diary to pour out her frustrations and complaints about her first internship in PR. Oshry might not have a typical nine-to-five, but she supports herself selling branded merch to her legions of followers. The sass and personality that GWNJ brings to Instagram has made her extremely popular with over two million followers. From Instagram she’s also branched out and now has her own app, which is available for free on iTunes. For those who want to know what she’s up to, or her thoughts on the latest episode of Real Housewives, it’s all in one place. With social media, apps, and blogs covered, what could a woman without a job want to do next? It started in 2011 as a way to sell vintage pieces on a blog to pay the rent while she was in fashion school in Miami. But in a few short years Steffy Degreff has managed to amass over 100,000 followers and expand her blog into so much more than fashion. Steffy’s starter home became the center of her digital presence. While she still has a soft spot for fashion blogging, after a few years she felt like the market had become oversaturated and looked for a way to diversify and incorporate other interests in her life and blog. Part of the allure of Steffy’s Pros and Cons is the fact that she maintains a woman-next-door vibe—that she seems like someone who’s living life, growing, and exploring the world around her without the pomp and showiness of some bloggers. 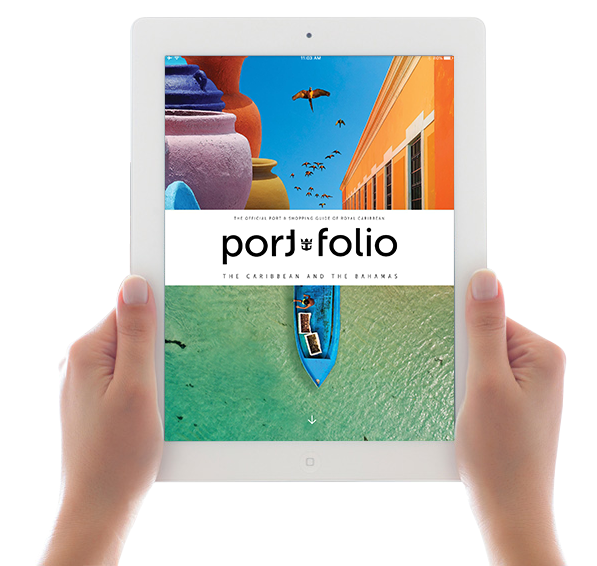 Make the most of every moment of your cruise vacation with the official iPad edition. Exciting features and video extras to infuse your vacation with even more WOWs.